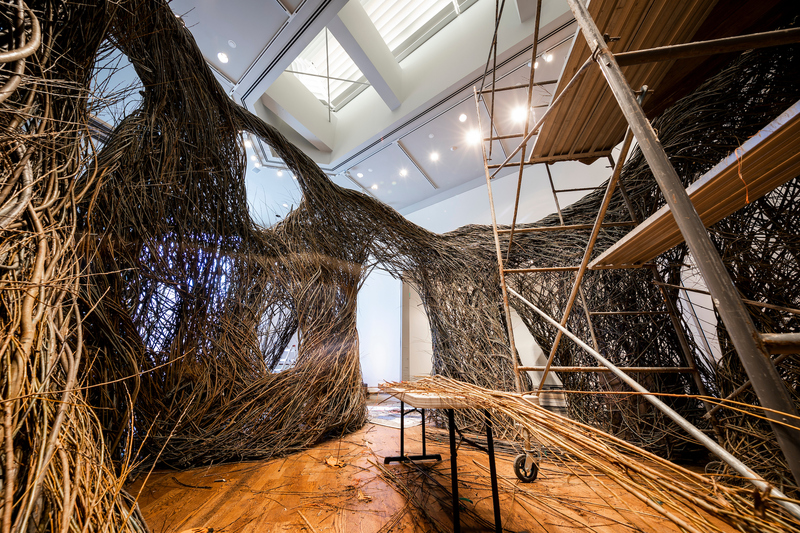 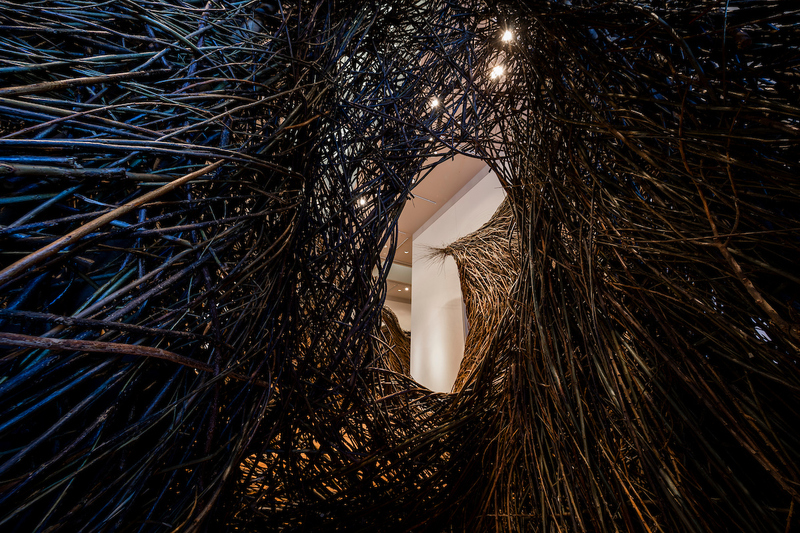 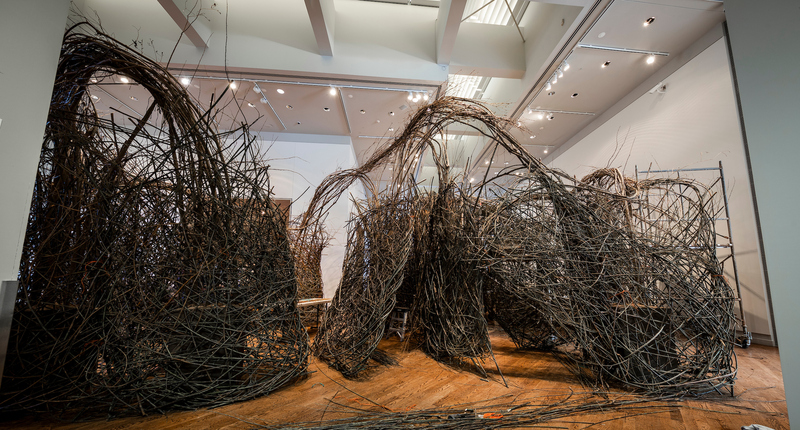 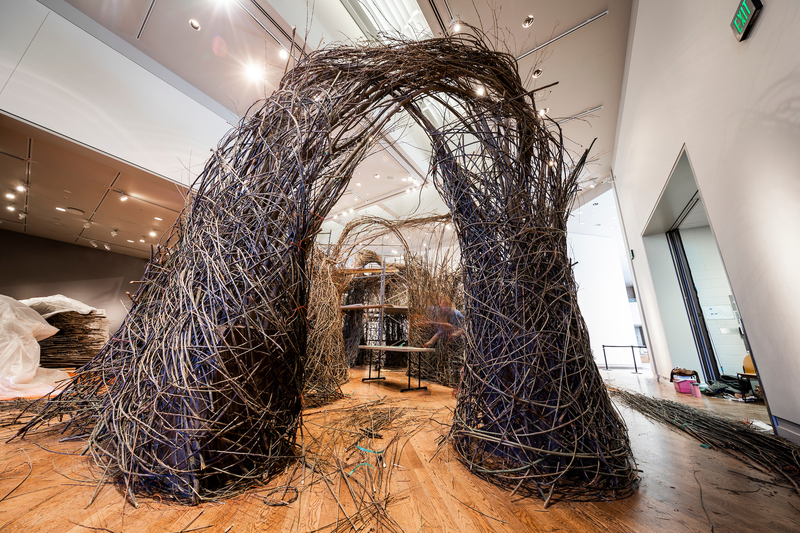 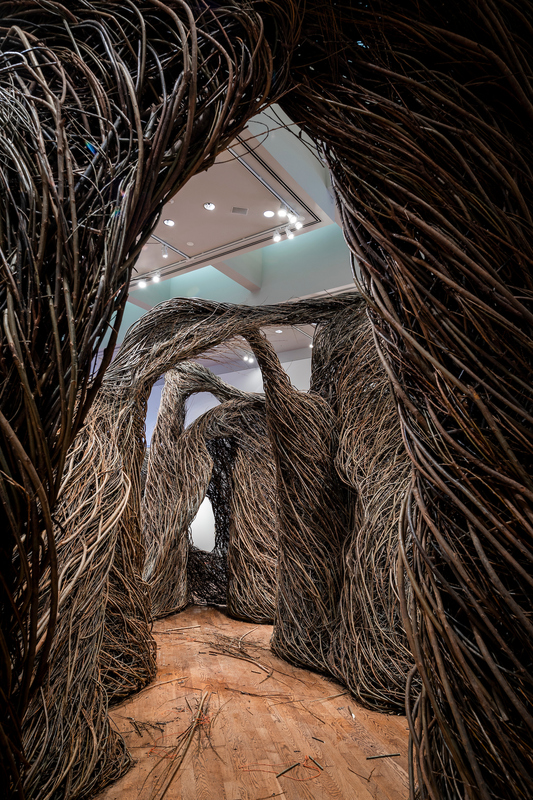 Patrick Dougherty, a world-renowned contemporary artist who creates works out of willow branches, has created a new exhibition at the BYU Museum of Art entitled Windswept. 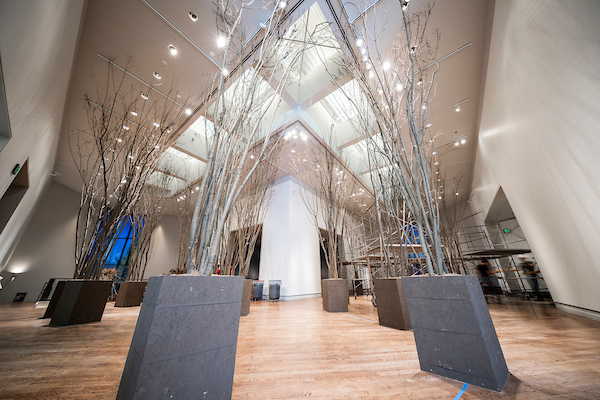 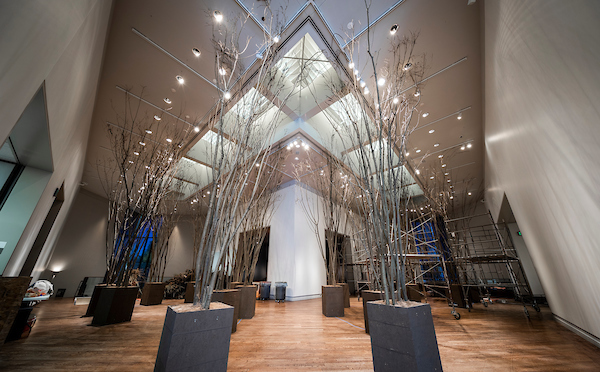 Visitors will enjoy an immersive experience as they meander through a transformed space reminiscent of a walk through the paths of a sweeping mountainscape. 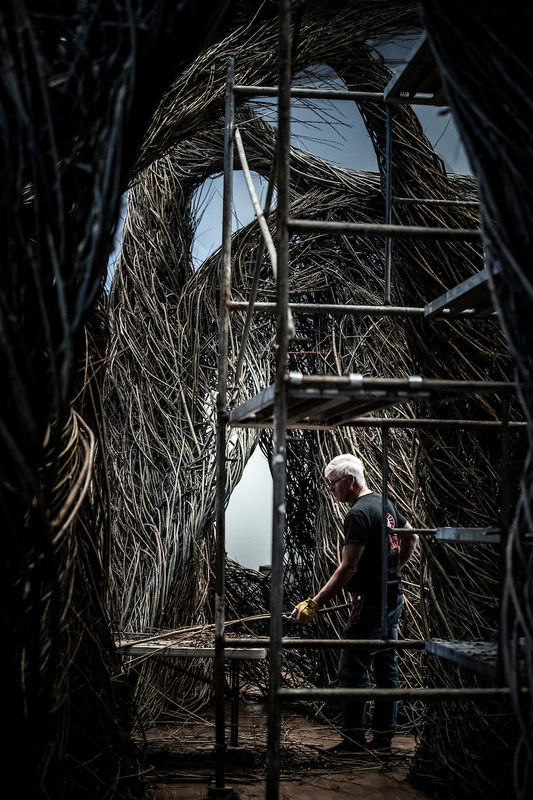 Dougherty involved local volunteers to help with the installation process of this piece, giving students and community members the unique opportunity to work with a contemporary artist. 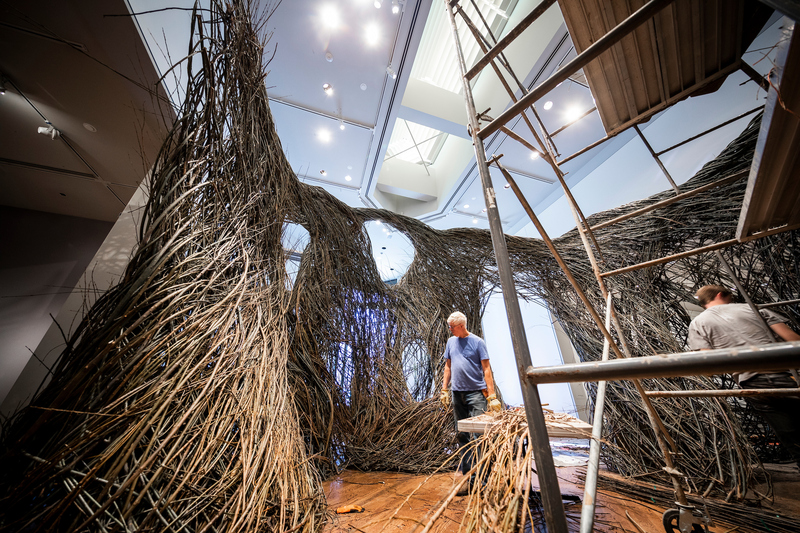 Born in Oklahoma, Patrick Dougherty was raised in North Carolina, studying English at the University of North Carolina, earning a Master’s degree in Hospital and Health Administration from the University of Iowa, and then returning to the University of North Carolina to study art history and sculpture. 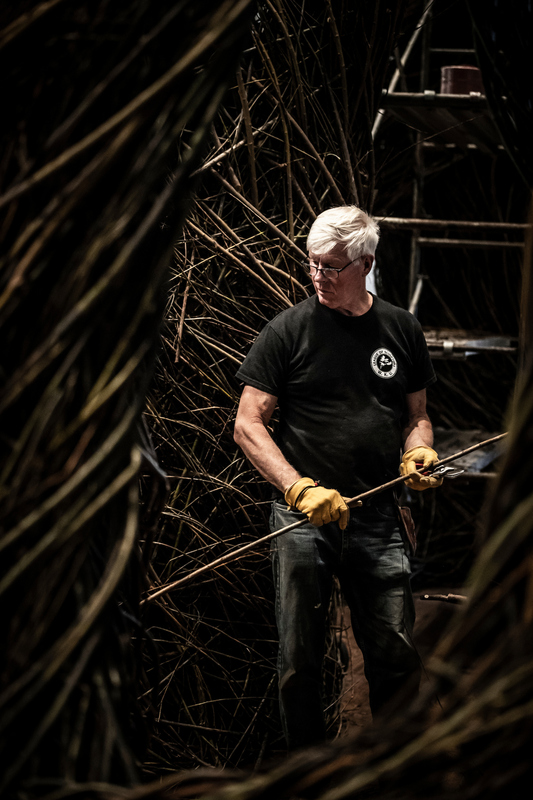 Combining his carpentry skills with his love of nature, Patrick began to learn more about primitive techniques of building and to experiment with tree saplings as construction material. 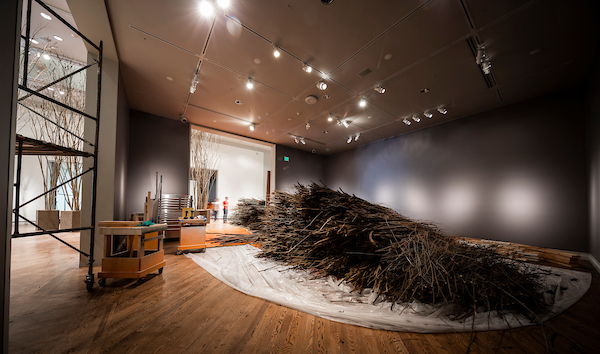 In 1982, his first work, Maple Body Wrap, was included in the North Carolina Biennial Artists’ Exhibition. 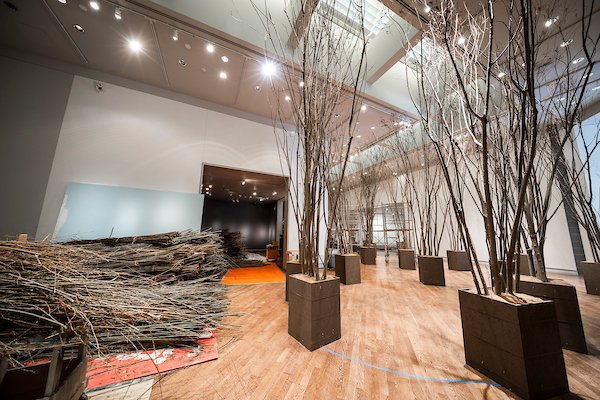 His work quickly evolved from single pieces on conventional pedestals to monumental scale environmental works, which require saplings by the truckloads. 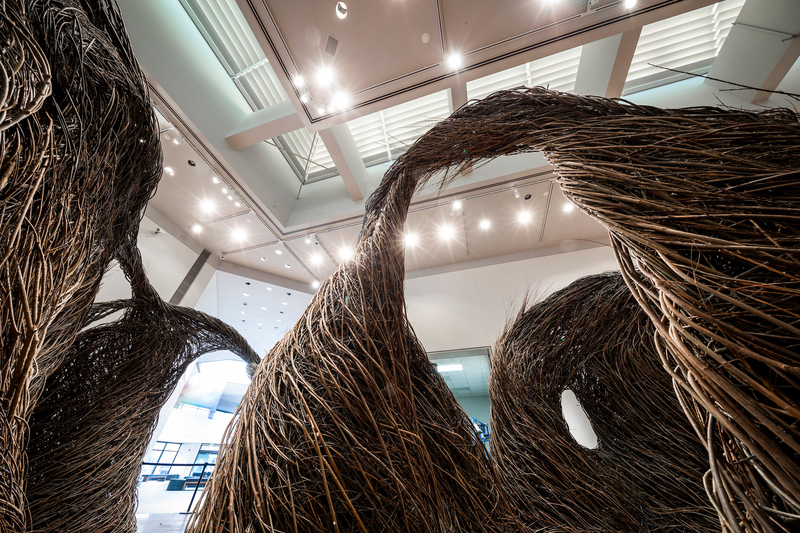 Over the last thirty years, he has built over 300 of these works and become internationally acclaimed. 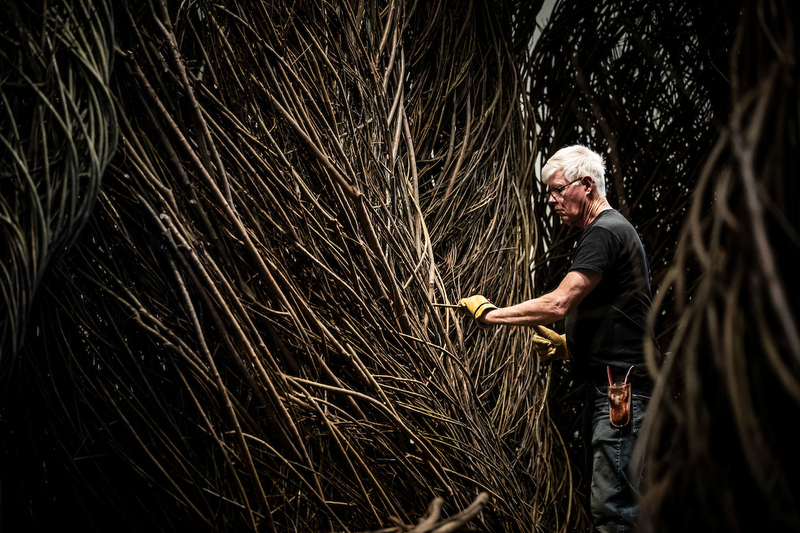 His sculpture has been seen worldwide—from Scotland to Japan to Brussels, and all across the United States. 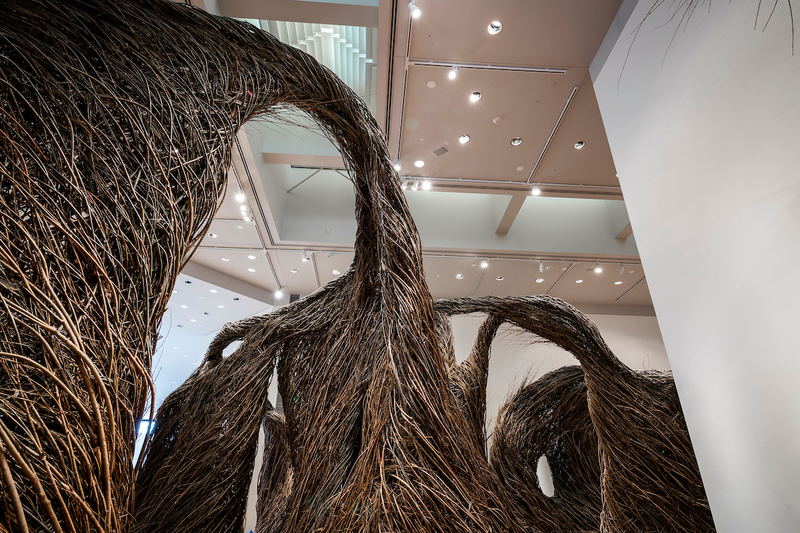 Watch the live stream of Patrick Dougherty’s Windswept by clicking here!